Exclusive! Being an IT expert is good-except when friends and relatives treat you like their personal computer fixer. 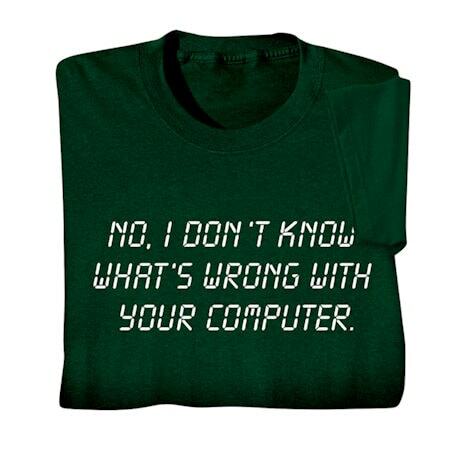 Just say no in a shirt that makes things as clear as your LCD monitor. Dark green sweatshirt is 50/50 cotton blend; T-shirt is preshrunk 100% cotton. Sizes M-XXl. Imported.